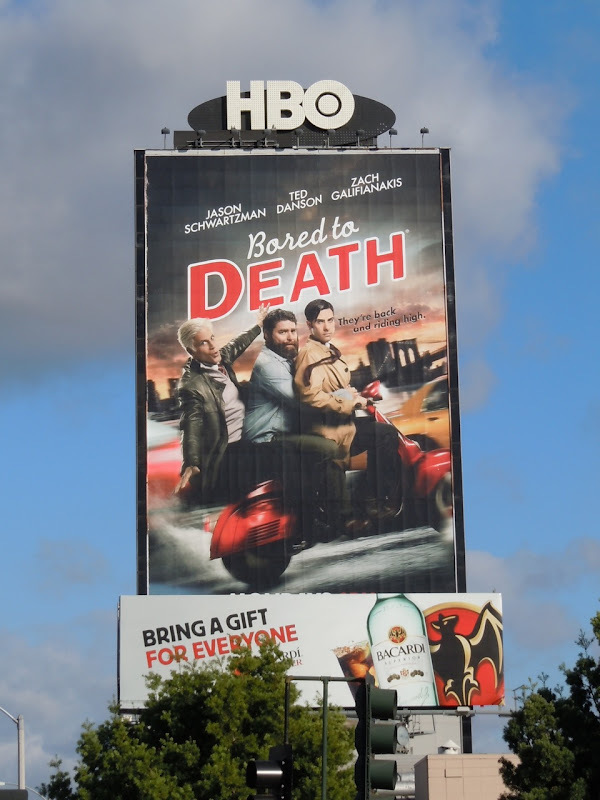 You won't be bored to death at all with these fun and quirky billboards for the third season of the HBO comedy. 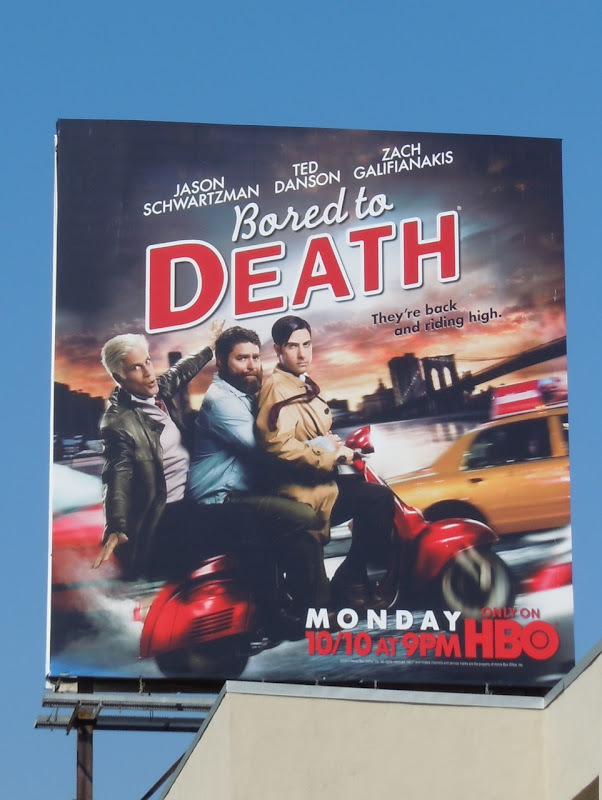 Funny men Jason Schwartzman, Ted Danson and Zach Galifianakis are back, sharing a scooter and riding high. 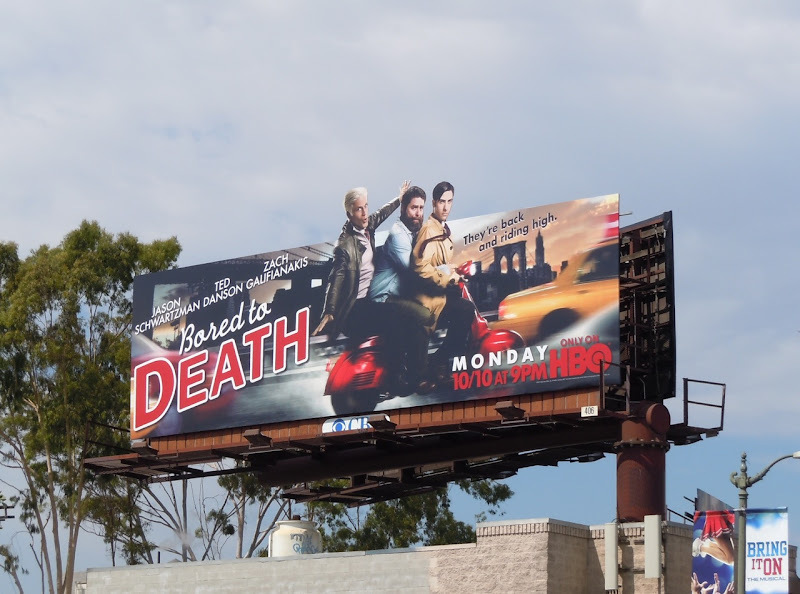 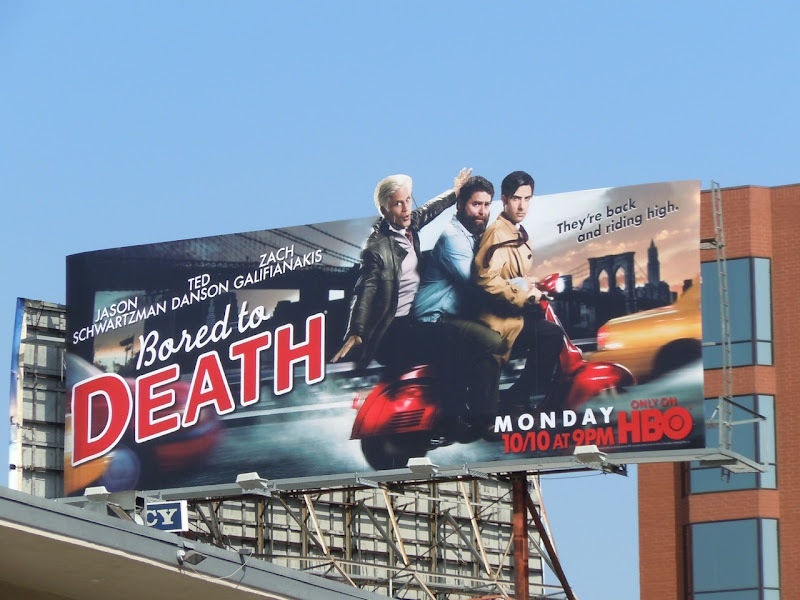 The Bored to Death ad version with the special extension of the stars heads poking over the top of the billboard was snapped along La Cienega Boulevard near Olympic Boulevard on September 22 and along Sunset Boulevard on September 28, 2011, whilst the smaller, squarer format was snapped along Beverly Boulevard. 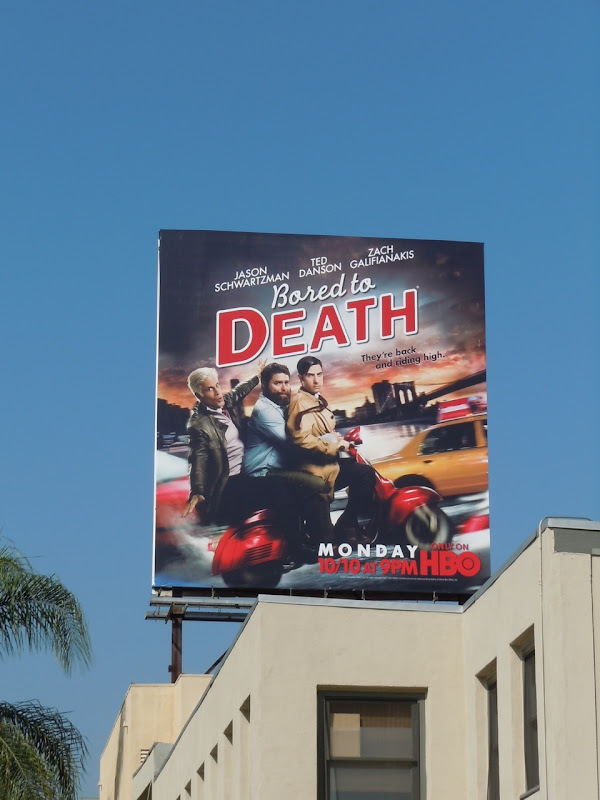 Be sure to also check out Zach Galifiankis in movie billboards for The Hangover Part II and Due Date. 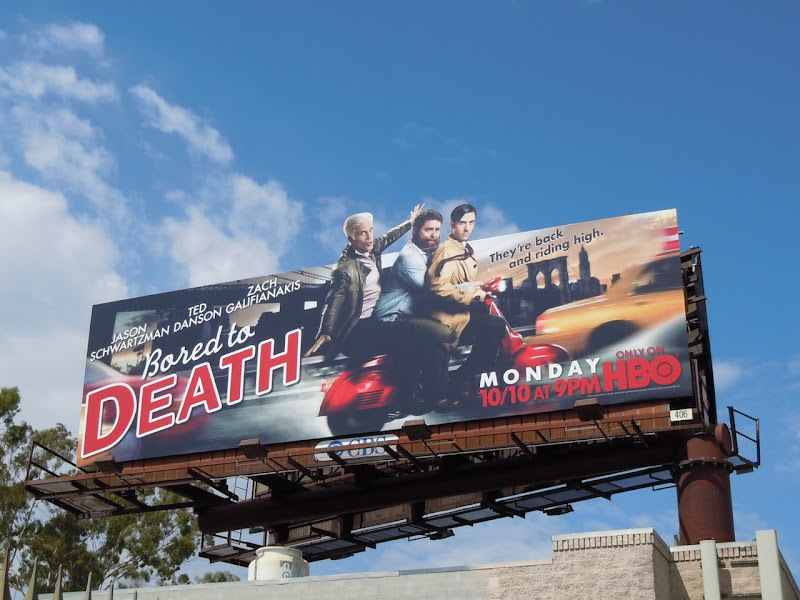 UPDATED: HBO are obviously supporting this third season as there's a new super-sized billboard for the comedy towering over Sunset Boulevard in West Hollywood. 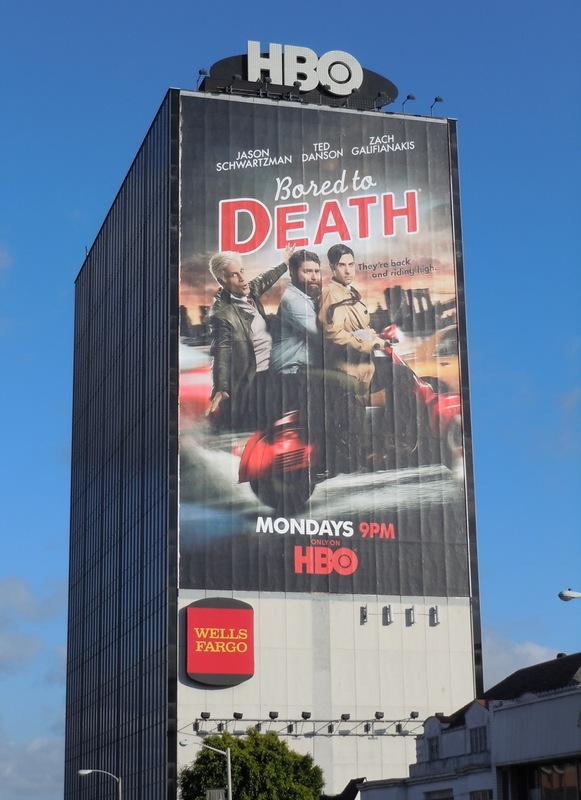 This eye-catching, giant Bored to Death ad was snapped on November 19, 2011.